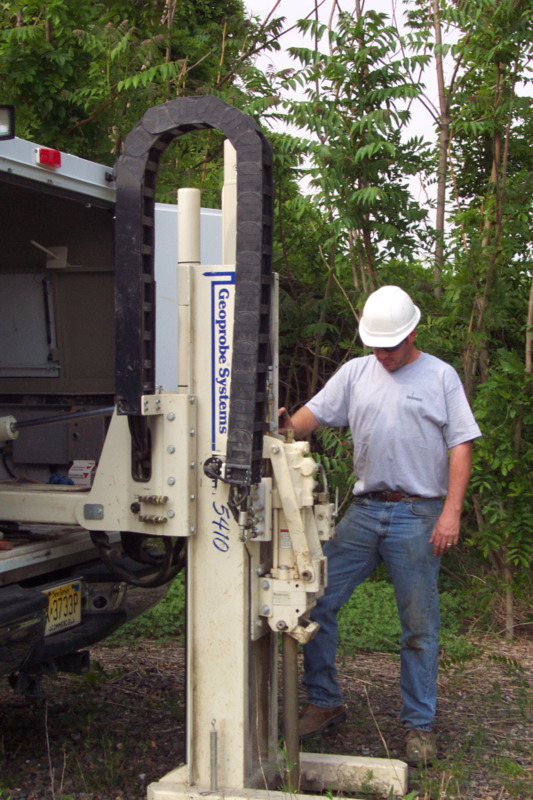 The Geoprobe® Model 5410 probing machine has double the structural strength as its predecessor, the Model 5400, but weighs the same and accordingly is mounted on a similar sized carrier vehicle. The unit has an electronic depth indicator which tracks the depth of your sampling tool on a digital read out on the main control panel. Faster probing, a stronger foot, and added safety features are all included in the new design elements of this machine. Equipped with GH42 Soil Probing Hammer. Curren supplies each carrier vehicle with a depth to water meter and peristaltic pump as standard field equipment. An oil interface probe, AquaCheck Four Way Meter and MiniRea Photoionization Detector (PID) can be included upon request.